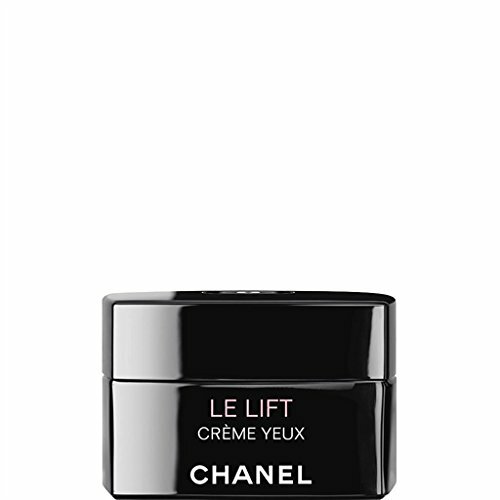 CHANEL LE LIFT FIRMING - ANTI-WRINKLE EYE CREAM 15G. This powerful, silky-smooth eye cream provides a visibly firmer appearance while helping to reduce puffiness and dark circles. Eyes immediately look more awake, elasticity is improved and the eye contour appears 23%* lifted. LE LIFT THE EPIGENETICS Because the very definition and appearance of beauty are unique to every woman, CHANEL has developed a perfectly tailored anti-aging line. For the first time, thanks to epigenetics, a skincare line is smart enough to adapt to your individual beauty. A customised anti-ageing skincare product that adapts to the background of your skin. LE LIFT Crème Yeux simultaneously targets firmness, wrinkles and fine lines, puffiness and dark circles. Like all of the skincare products in LE LIFT line, the eye contour formula is enriched with 3.5-DA,* an active ingredient exclusive to CHANEL that can help regulate the function of cells at the genetic level and firm the skin. Active ingredients : 3.5-DA,* an exclusive ingredient developed for CHANEL that acts effectively on the firmness of the skin tissue and wrinkles. • A plant oligopeptide that improves muscle tone. • A specific complex that activates microcirculation, visibly reducing puffiness and dark circles. *3.5-DA: an exclusive ingredient developed for CHANEL based on a patented technology. In vitro tests. Application ritual Morning and/or evening, apply with fingertips a rice grain-sized amount of eye cream to the entire eye area, including the upper eyelid. Smooth in with circular movements from the inner corner of the eye to the area beneath the eye, then back up to the eyelid. If you have any questions about this product by CHANEL, contact us by completing and submitting the form below. If you are looking for a specif part number, please include it with your message. Natura Bisse Diamond Extreme Eye, 0.8 fl. oz. Obagi Professional-C Peptide Complex, 1 fl. oz.